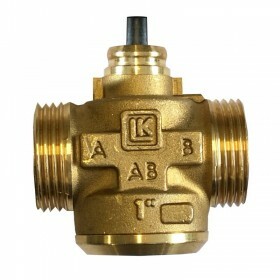 2-way-zone valve M 1¼", Kvs 11 m3/h (without actuator). We don't sell the LK Armatur products to outside of Estonia! 2-way-zone valve M ¾", Kvs 10 m3/h (without actuator). We don't sell the LK Armatur products to outside of Estonia! 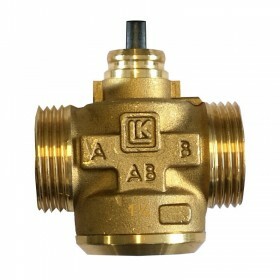 3-way zone valve, valve unit G 1 1/4", Kvs 8,0 m3/h (without actuator), male thread. We don't sell the LK Armatur products to outside of Estonia! 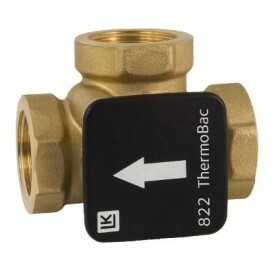 3-way check valve DN20 (¾"), brass, LK 822 ThermoBac. We don't sell the LK Armatur products to outside of Estonia! 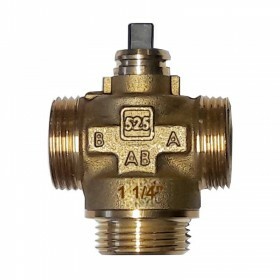 3-way check valve with low opening pressure and high fluid capacity. 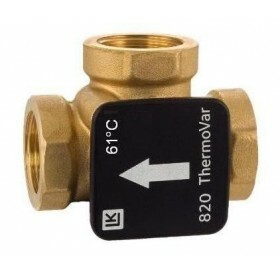 The valve is especially suitable for heating systems with storage tanks. The check valve prevents self-circulation from storage tank to boiler after the fire has gone out. DN25 (1"). We don't sell the LK Armatur products to outside of Estonia! 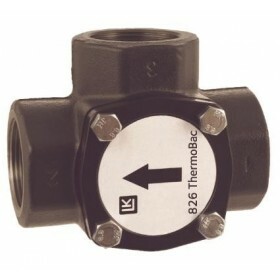 3-way check valve with low opening pressure and high fluid capacity. The valve is especially suitable for heating systems with storage tanks. The check valve prevents self-circulation from storage tank to boiler after the fire has gone out. DN32 (1¼). We don't sell the LK Armatur products to outside of Estonia!